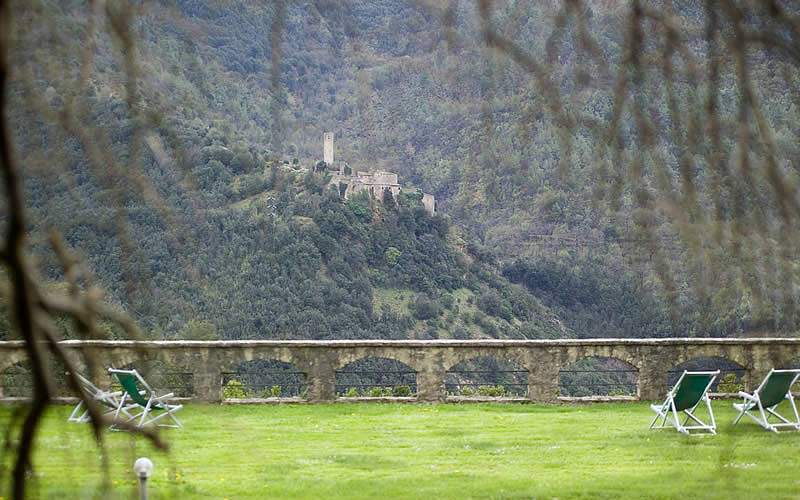 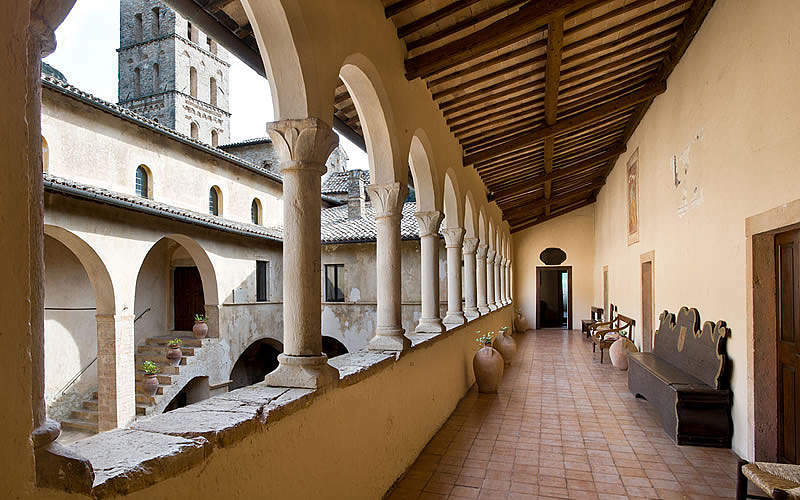 Tucked in the lush and dramatic Nera River Valley near Terni, the Abbazia San Pietro in Valle is a former abbey now transformed into a historical residence where time seems to have stood still for the past thousand years. 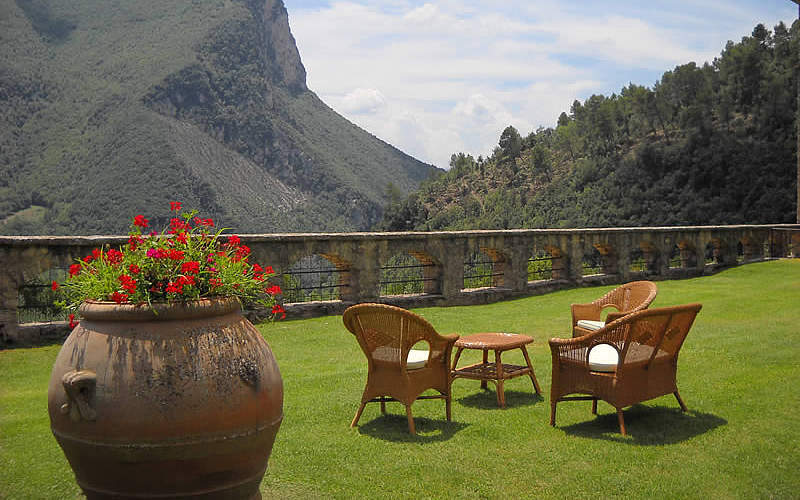 Here, your vacation, wedding, or meeting will have an extraordinarily dramatic and unforgettable backdrop. 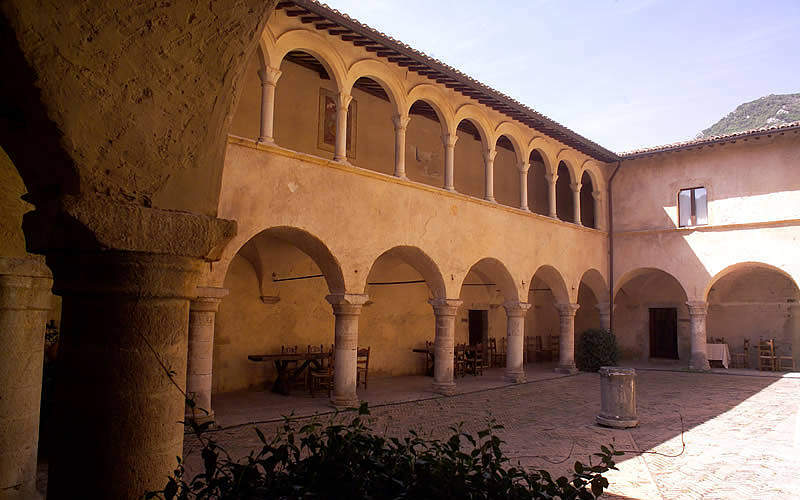 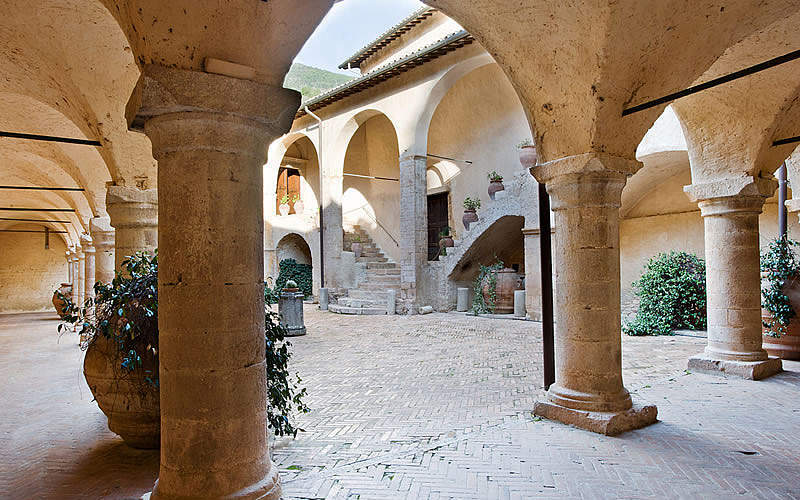 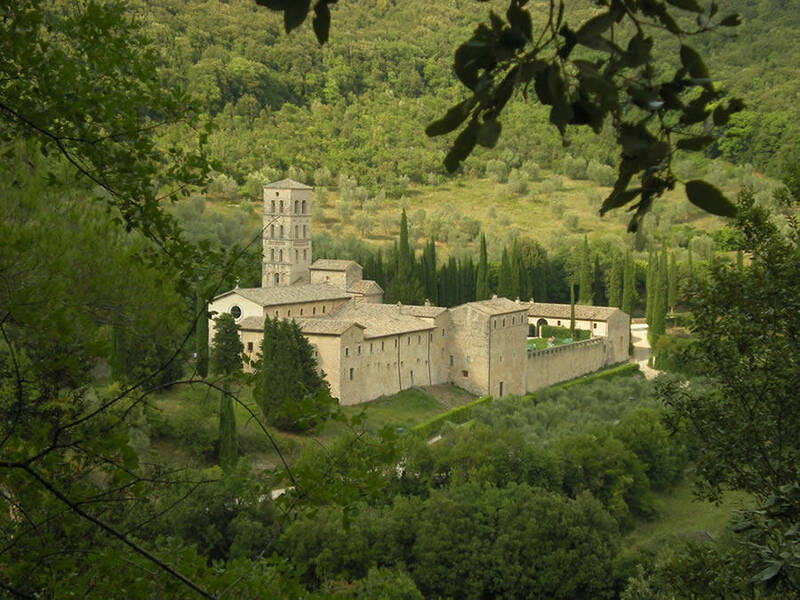 The Abbazia San Pietro in Valle: "Where art and history blend with the incontaminated nature and silence of the Valnerina, transporting visitors back in time." 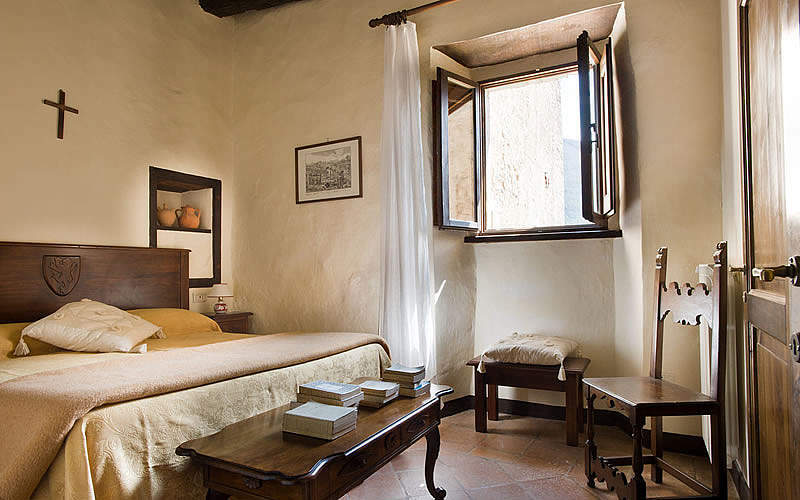 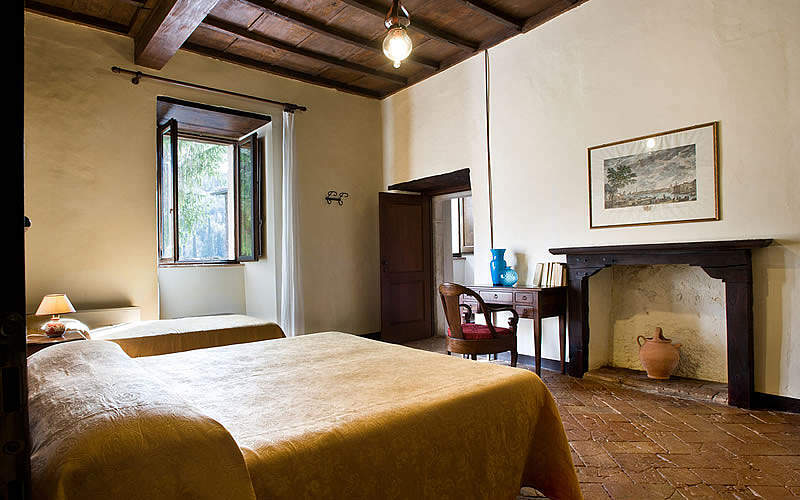 The sisters Federica, Letizia, and Chiara welcome guests to their charming residence, with the abbey's bright and simple 19 double rooms and 2 suites made from former monastic cells but with all the modern comforts to make your stay as comfortable as a luxury hotel. 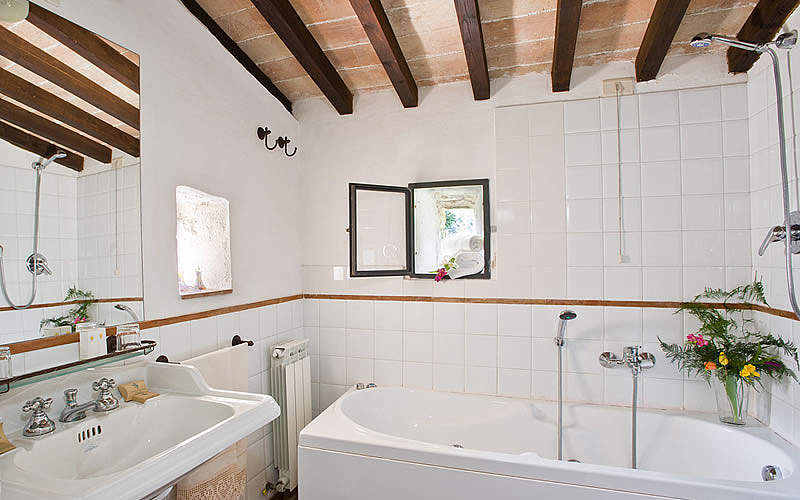 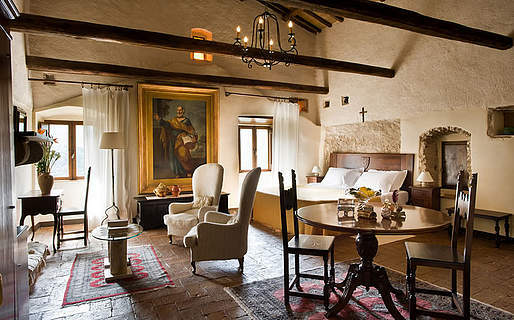 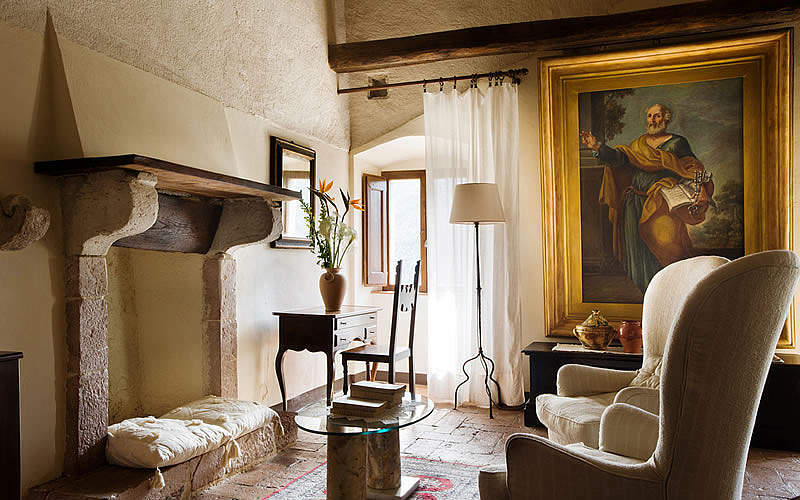 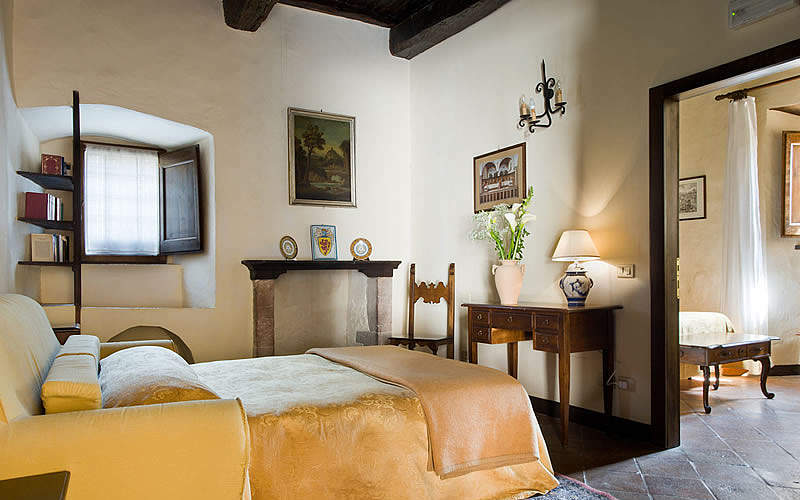 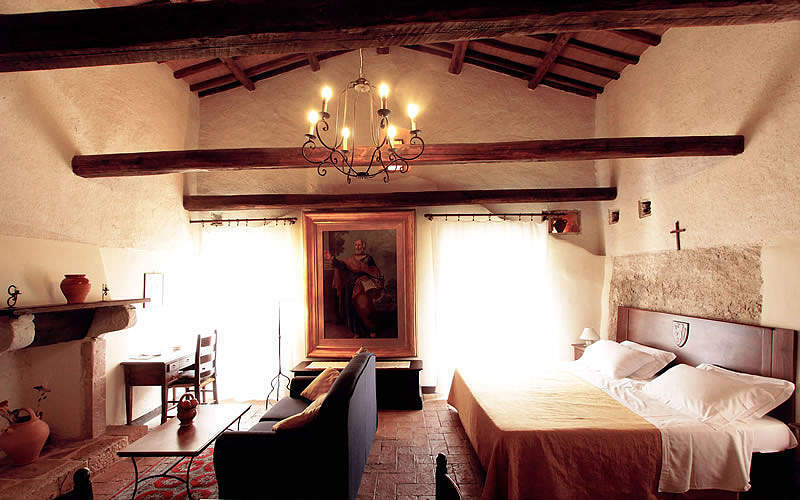 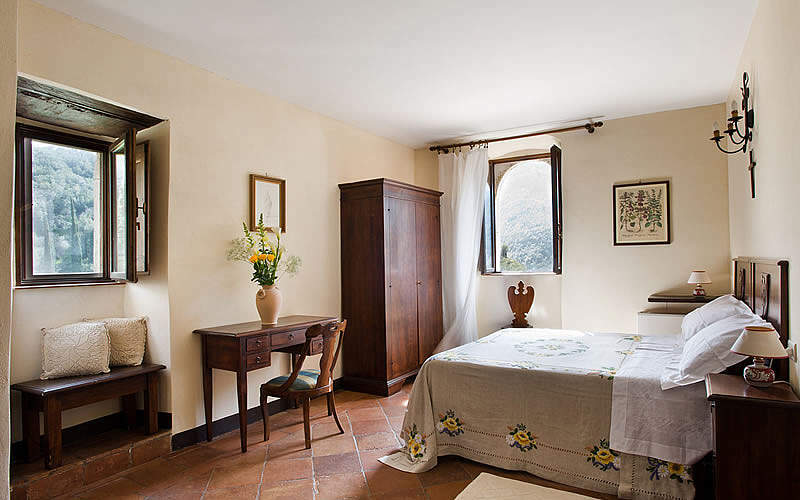 Corpo di Guardia, Foresteria, Chiostro, Suite Familiare, and Suite dell'Abate: each room and suite has been given a name to remind guests of this unique property's mystic and ancient beginnings. 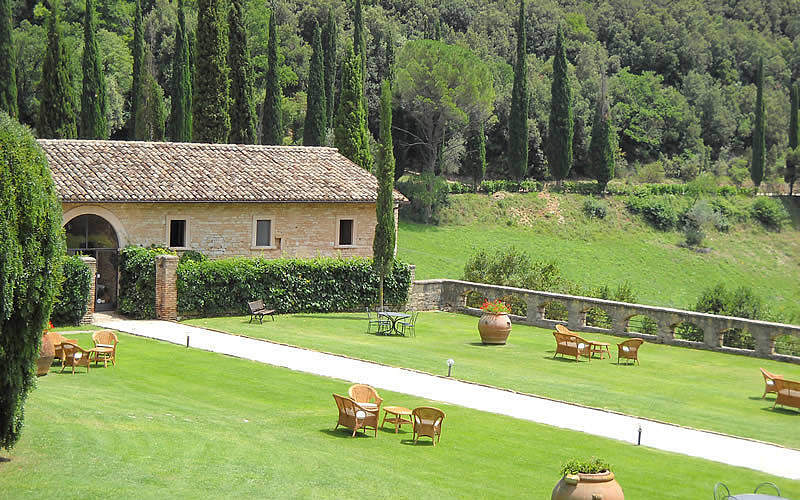 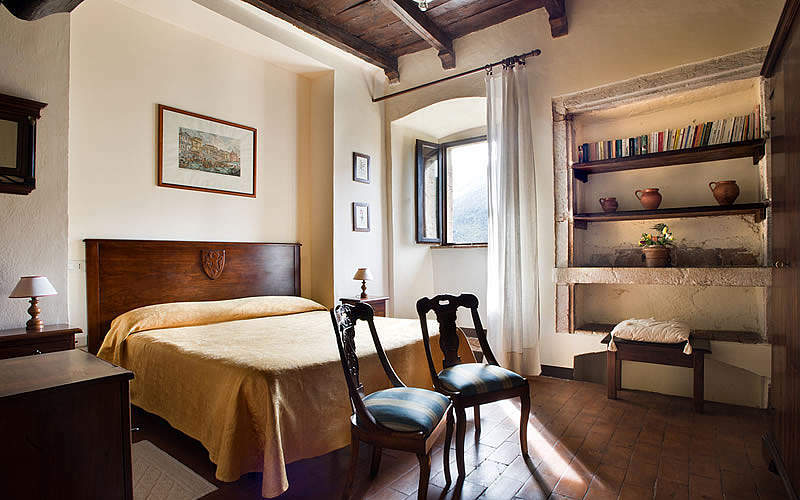 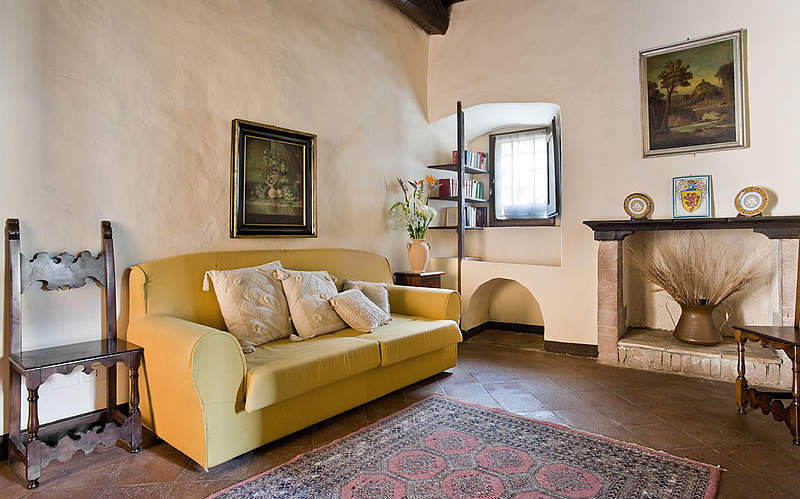 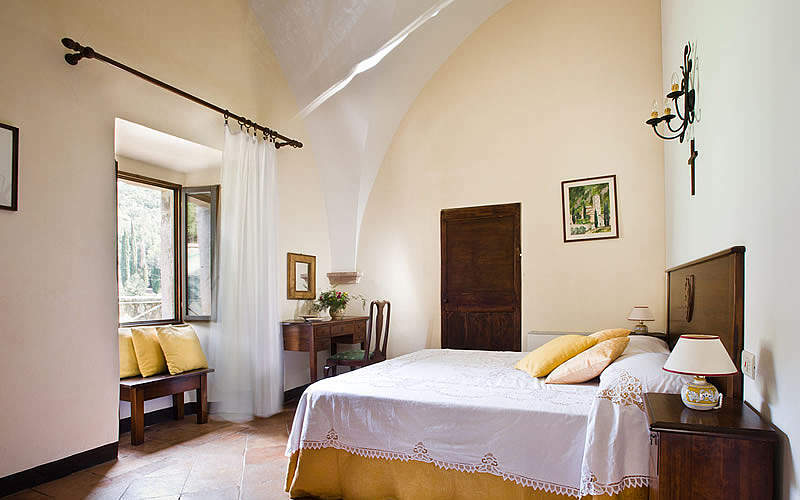 Suite dell'Abate, with its view of the valley and the picturesque abandoned ruins of Umbriano, soaring vaults and beams, painting of Saint Peter dating from 1500, living area with a crackling fireplace, sleeping area with a king size bed, and jetted tub in the ensuite bathroom: a stay in paradise. 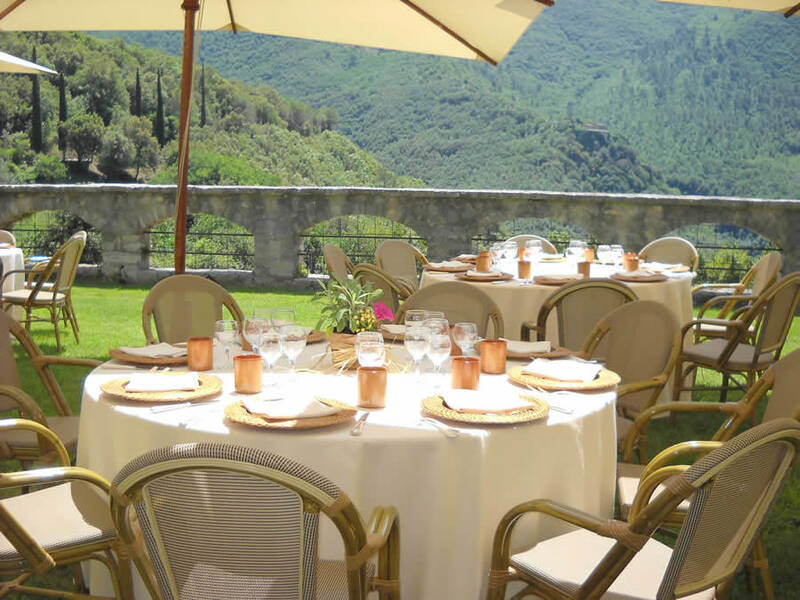 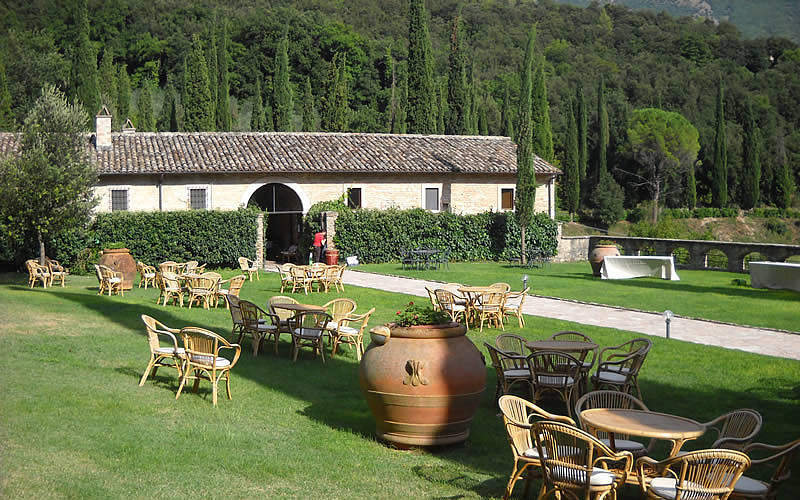 During your stay at the abbey, don't miss the unforgettable dishes served at their in-house Hora Media restaurant, which serves recipes based on traditional Umbrian cuisine and using exclusively local and seasonal ingredients. 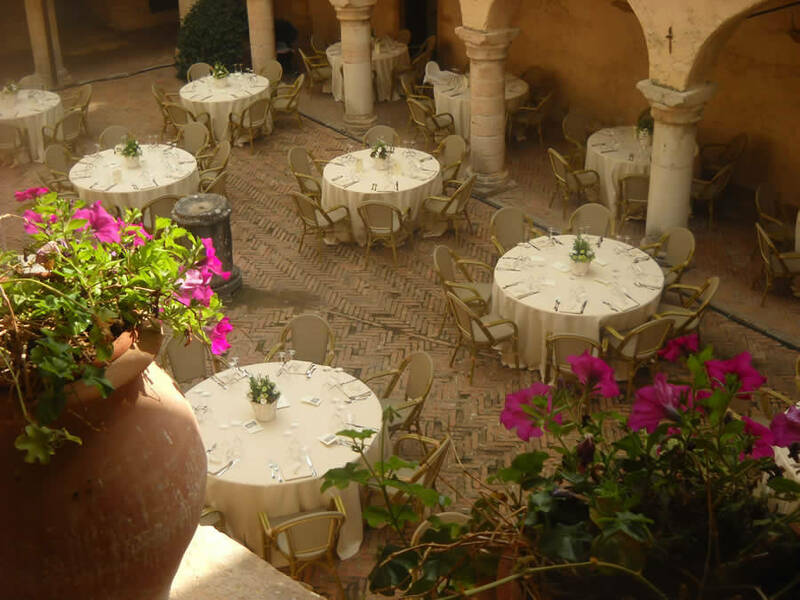 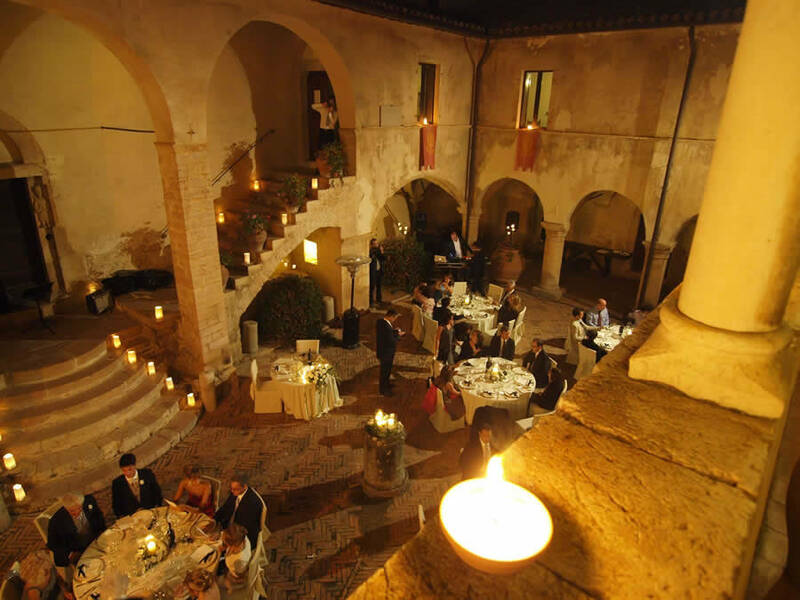 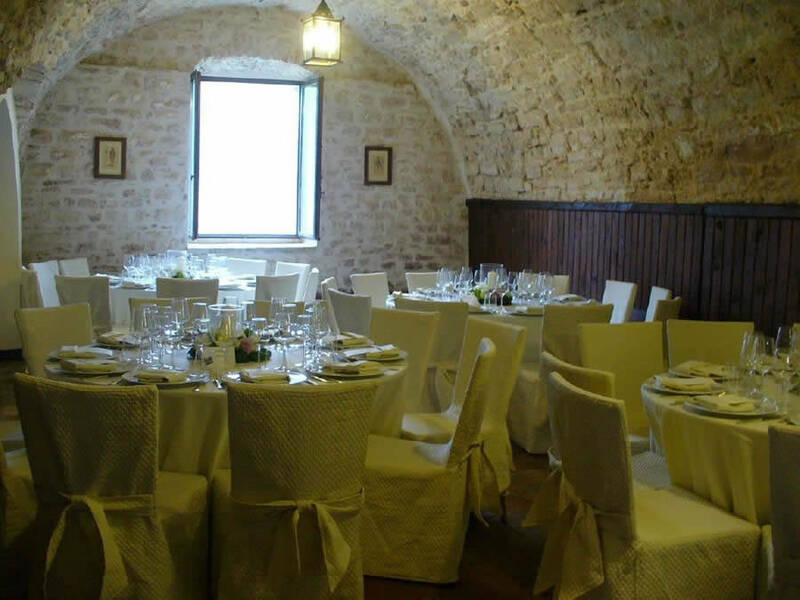 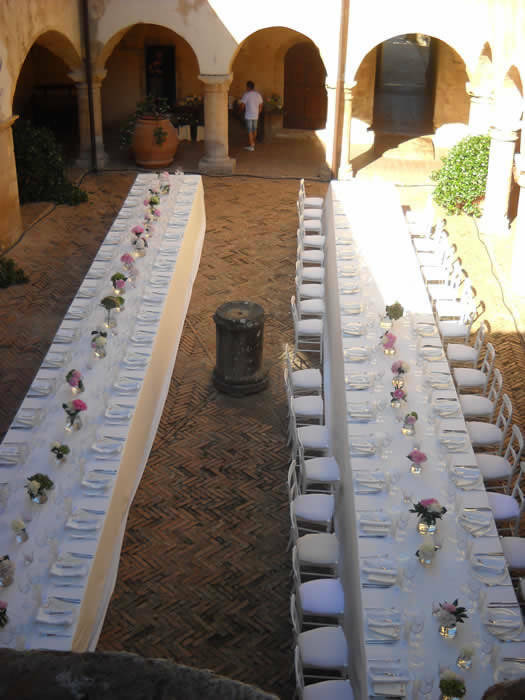 With their theme dinners, cooking classes, and Medieval banquets, meals here combine food with culture and history! 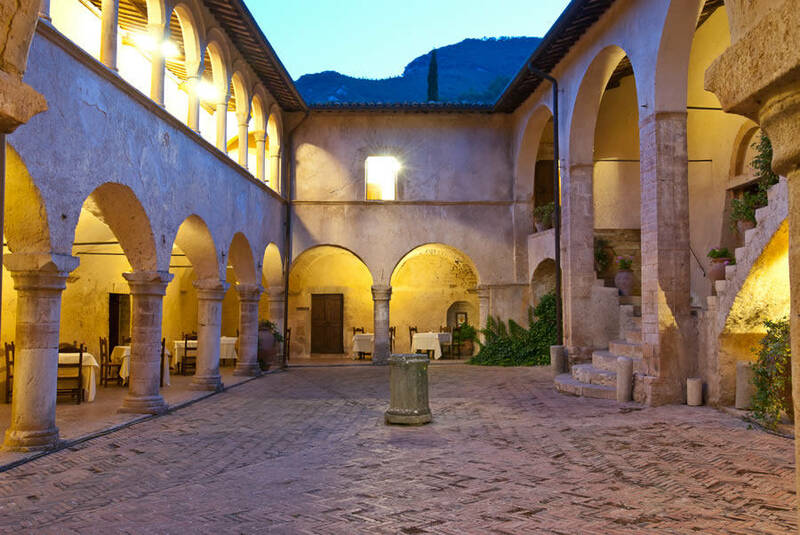 In this place untouched by time, you can recharge body and mind with massages, yoga, body treatments, and exclusive wellness packages personalized just for you. 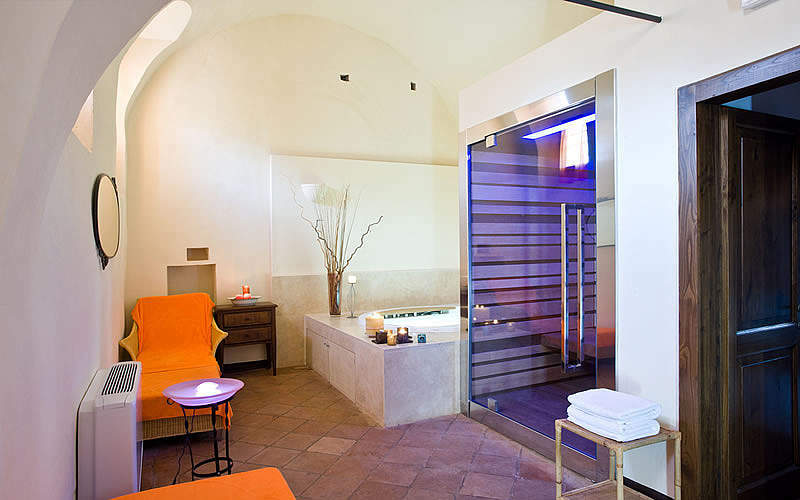 The Suite Benessere is a wellness area reserved exclusively for couples with a sauna, four relaxation treatments, and a Jacuzzi tub. 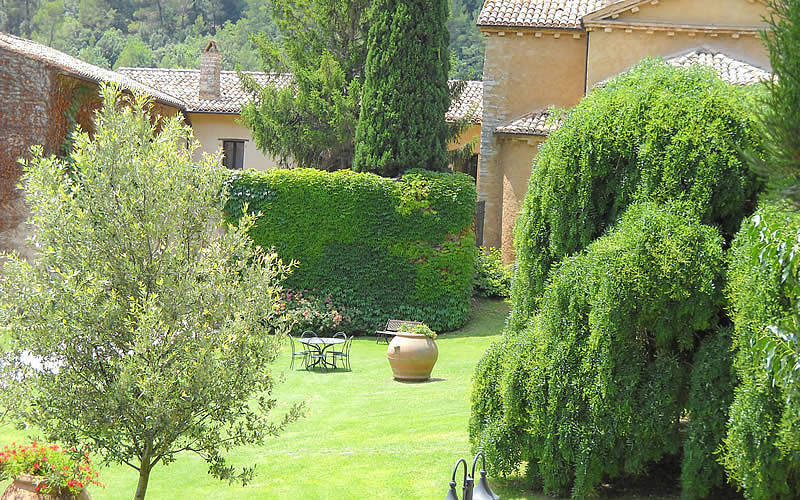 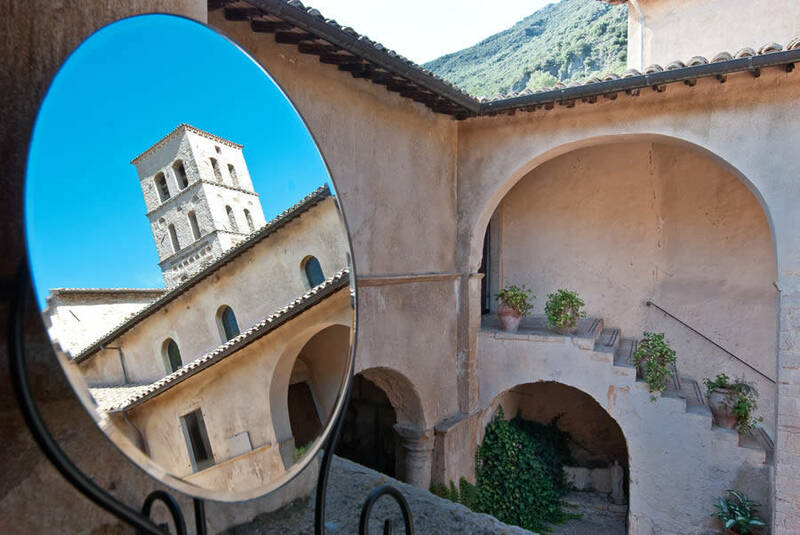 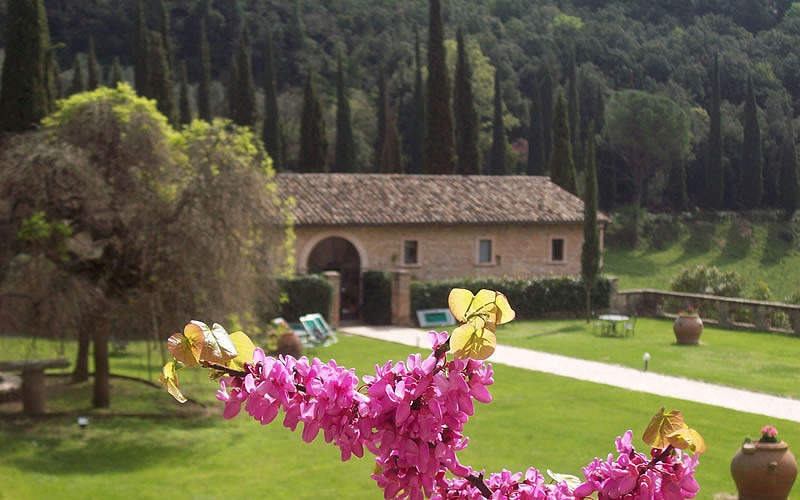 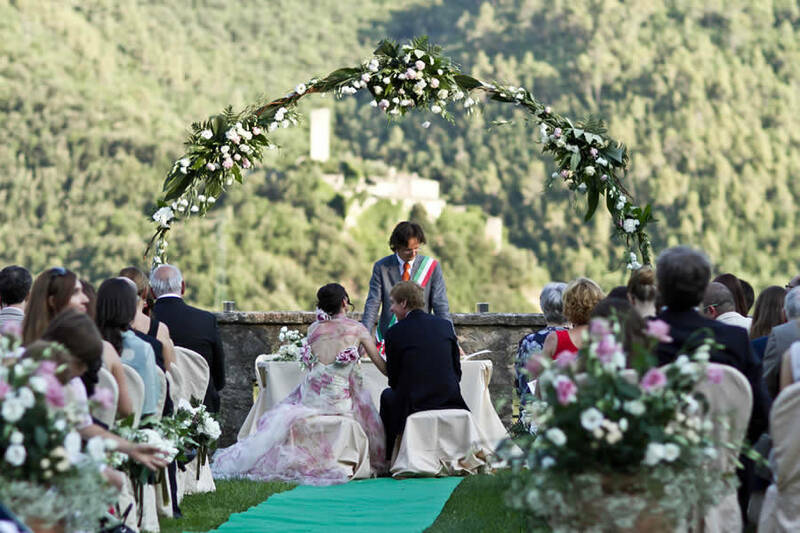 Perched on the slopes of Mount Solenne at 365 meters above sea level, the Abbazia San Pietro is a historical residence surrounded by the lush greenery of the Nera River Valley in the province of Terni. 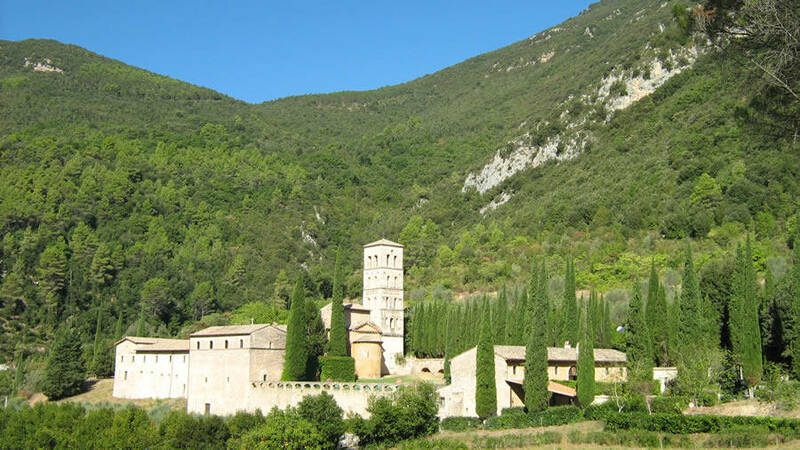 Wilde and untouched nature: we are inside the protected Park of Fiume Nera, which flows into the highest natural waterfall in Europe: the Marmora Falls.